Is there a way to achieve this with a batch process? Yes, there is… You can do that in a software called Geosetter. It will expedite writing an exif directly to the batch images. You can do that in a software called Geosetter. I’m struggling with Geosetter as well. 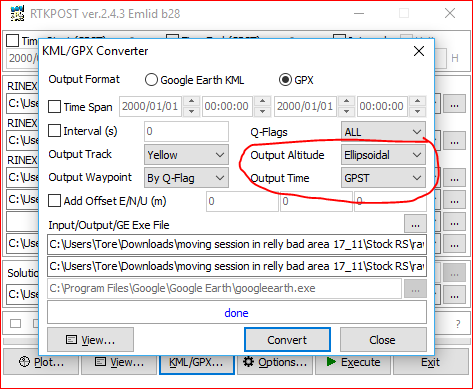 The GPX file that RTKLIB is exporting does not have time or elevation information?